The terms “we”, “us”, “our”, and “Travel – Moments in Time” refer to https://travel.prwave.ro. The term “Site” refers to https://travel.prwave.ro. The terms “I”, “me”, “mine” refer to Violeta-Loredana Pascal. The terms “user”, “you” and “your” refers to site visitors, clients, and any other users of this site. 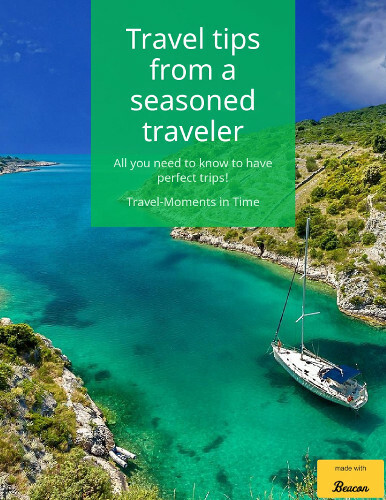 The use of Travel – Moments in Time, including all materials presented herein and all online services/products provided by Travel – Moments in Time (the “Service”), is subject to the following terms and conditions. These terms and conditions apply to all site visitors, customers, and all other users of the site. By using Travel – Moments in Time or our services, you agree to these terms and conditions, without modification, and acknowledge reading them. These terms and conditions are subject to change at anytime with or without notice. To access or use the Site, you must be 18 years of age or older. Also, you may use the site and services/products provided for lawful purposes only and you agree to be financially responsible for all purchases made by you or someone acting on your behalf through the Travel – Moments in Time. All the content on https://travel.prwave.ro is created by us. The content is intended for informational purposes only and the owner of this blog makes no representations as to the accuracy or completeness of any information on this site or found by following any link on this site. The copyright for all the content on this website belongs to https://travel.prwave.ro and Violeta-Loredana Pascal. You do not have permission to repost any of the information on the website anywhere else. You can share the articles on social media, though. Travel – Moments in Time and its owner will not be liable for any errors or omissions in this information nor for the availability of this information. The site offers no that the information is accurate, complete, reliable, current, or error-free. The owner will not be liable for any losses, injuries, or damages from the display or use of this information. You will receive an email confirming your purchases or orders, including for free products. If you don’t receive such an e-mail, please contact me via e-mail and let me know. Each paid program/service has a different cancellation policy that will be communicated. If you subscribe to the newsletter, you will also receive a confirmation email. I am not a financial advisor, an attorney, etc., therefore the information provided on this website and in the video materials/chats, and in any other derived materials of/from the website does not replace the advices from trained professionals in any field, including, but not limited to, financial, business, travel agents or legal matters. The site uses third party service providers for some of the services/products presented and for collecting e-mail addresses and sending newsletters. You agree that we are not responsible or liable for the availability, accuracy, content, or policies of third party websites or resources. All notices, demands, etc. regarding this agreement shall be sent to travelmomentspr@gmail.com. ALL MATERIALS AND SERVICES/PRODUCTS ON THIS SITE ARE PROVIDED ON AN “AS IS” AND “AS AVAILABLE” BASIS WITHOUT ANY WARRANTY OF ANY KIND, EITHER EXPRESS OR IMPLIED, INCLUDING, BUT NOT LIMITED TO, THE IMPLIED WARRANTIES OF MERCHANTABILITY OR FITNESS FOR A PARTICULAR PURPOSE, OR THE WARRANTY OF NON-INFRINGEMENT. WITHOUT LIMITING THE FOREGOING, WE MAKE NO WARRANTY THAT (A) THE SERVICES AND MATERIALS WILL MEET YOUR REQUIREMENTS, (B) THE SERVICES AND MATERIALS WILL BE UNINTERRUPTED, TIMELY, SECURE, OR ERROR-FREE, (C) THE RESULTS THAT MAY BE OBTAINED FROM THE USE OF THE SERVICES OR MATERIALS WILL BE EFFECTIVE, ACCURATE OR RELIABLE, OR (D) THE QUALITY OF ANY PRODUCTS, SERVICES, OR INFORMATION PURCHASED OR OBTAINED BY YOU FROM THE SITE FROM US OR OUR AFFILIATES WILL MEET YOUR EXPECTATIONS OR BE FREE FROM MISTAKES, ERRORS OR DEFECTS. TRAVEL – MOMENTS IN TIME COULD INCLUDE TECHNICAL OR OTHER MISTAKES, INACCURACIES OR TYPOGRAPHICAL ERRORS. WE MAY MAKE CHANGES TO THE MATERIALS AND SERVICES AT THIS SITE, INCLUDING THE PRICES AND DESCRIPTIONS OF ANY PRODUCTS LISTED HEREIN, AT ANY TIME WITHOUT NOTICE. THE MATERIALS OR SERVICES AT THIS SITE MAY BE OUT OF DATE, AND WE MAKE NO COMMITMENT TO UPDATE SUCH MATERIALS OR SERVICES. YOU AGREE THAT WE SHALL NOT BE LIABLE FOR ANY LOSS, INJURY, CLAIM, LIABILITY, OR DAMAGE OF ANY KIND RESULTING FROM YOUR USE OF THE SITES, THE SERVICES, THE COURSES, THE CONTENT, OR ON OR THROUGH ANY THIRD-PARTY COMMUNICATIONS. TO THE MAXIMUM EXTENT ALLOWED UNDER APPLICABLE LAW, TRAVEL – MOMENTS IN TIME SHALL NOT BE LIABLE FOR ANY SPECIAL, DIRECT, INDIRECT, INCIDENTAL, PUNITIVE, OR CONSEQUENTIAL DAMAGES OF ANY KIND WHATSOEVER IN ANY WAY DUE TO, RESULTING FROM, OR ARISING IN CONNECTION WITH THE USE OF OR INABILITY TO USE OR ACCESS THE SITES, THE SERVICES, THE COURSES, THE CONTENT, OR ANY THIRD-PARTY COMMUNICATIONS. THE FOREGOING APPLIES EVEN IF I HAVE BEEN ADVISED OF THE POSSIBILITY OF OR COULD HAVE FORESEEN THE DAMAGES. IN THOSE COUNTRIES AND STATES THAT DO NOT ALLOW THE EXCLUSION OR LIMITATION OF LIABILITY FOR THE DAMAGES, OUR LIABILITY IS LIMITED TO THE FULLEST POSSIBLE EXTENT PERMITTED BY LAW. IN NO EVENT OUR CUMULATIVE LIABILITY TO YOU EXCEED THE TOTAL PURCHASE PRICE OF THE SERVICE YOU HAVE BOUGHT FROM TRAVEL – MOMENTS IN TIME, AND IF NO PURCHASE HAS BEEN MADE BY YOU, OUR CUMULATIVE LIABILITY TO YOU SHALL NOT EXCEED $10.